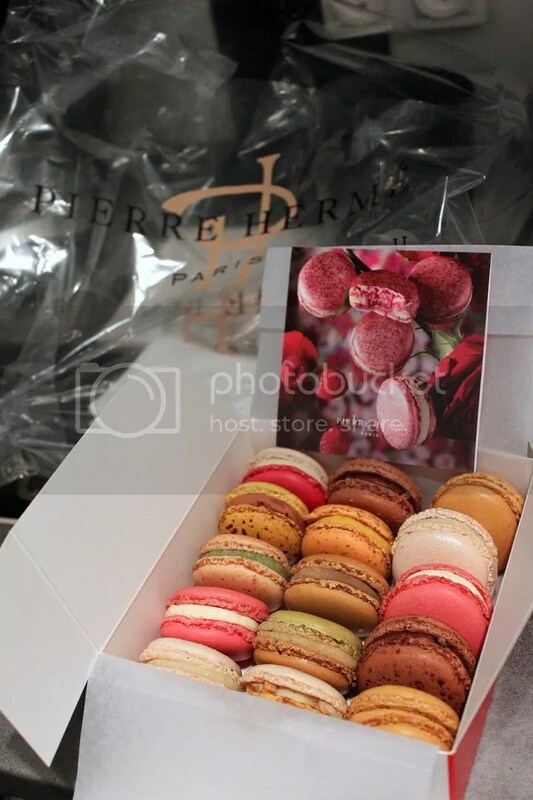 Laduree or Pierre Herme? 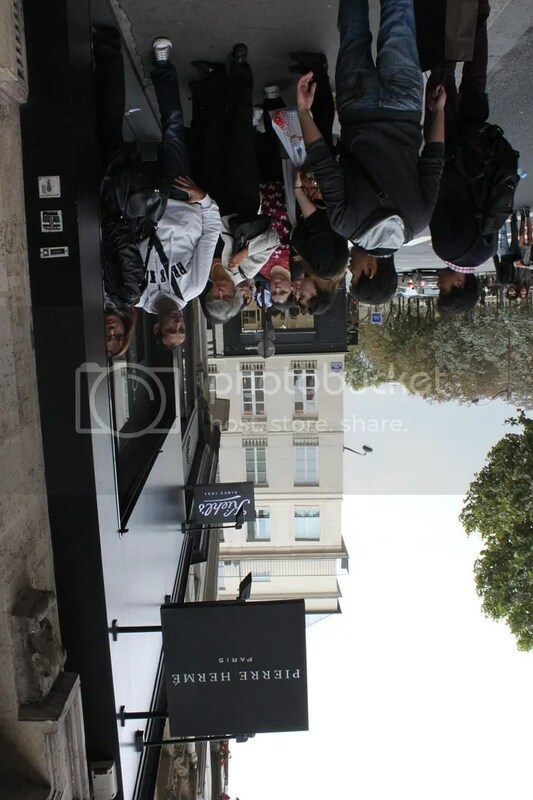 Truly a question for the ages that I sought to solve whilst visiting Paris. 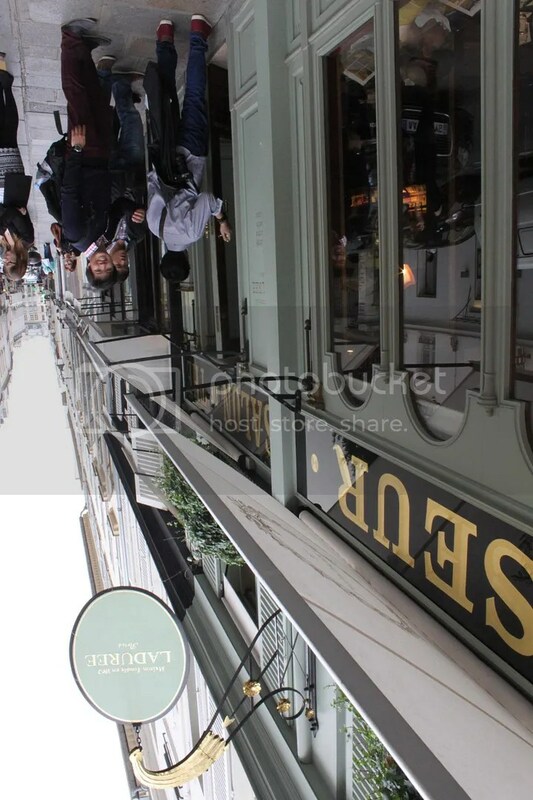 There are multiple branches scattered around town for both iconic names but if you are short on time as I was, I would suggest heading to Rue Bonapart, located in the 6th arrondissement (aka district) of Paris, where both names are present within walking distance. I conducted a simple taste test with 3 other friends whom I was traveling with to determine who we should crown king but we encountered one problem; the 2 brands didn’t have that many identical flavours! Well, we carried out our taste test anyway with a few more commonly found flavours that both brands carried. 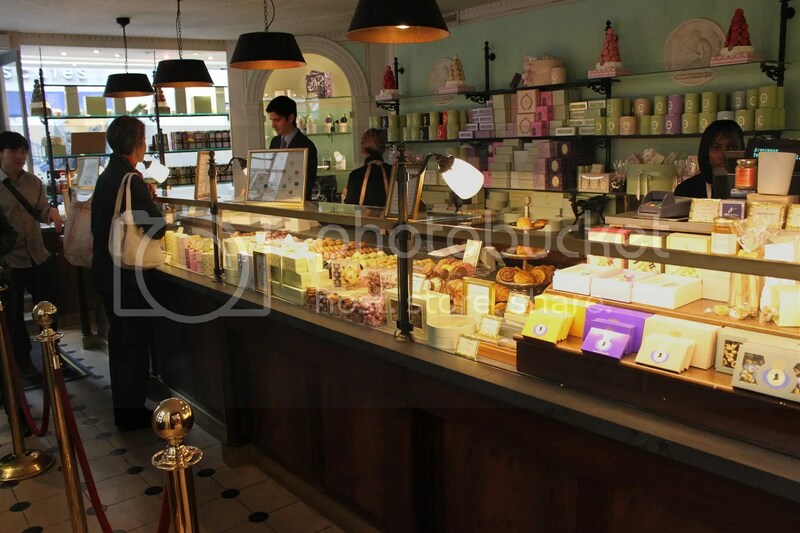 Rose – We voted unanimously for Laduree because it carried a more distinct rose flavor that wasn’t overpowering. We also preferred its crispier shell (which was more brittle and sadly more prone to cracks) compared to the slightly more chewy shell of Pierre Herme (shall refer to it as PH from here on). 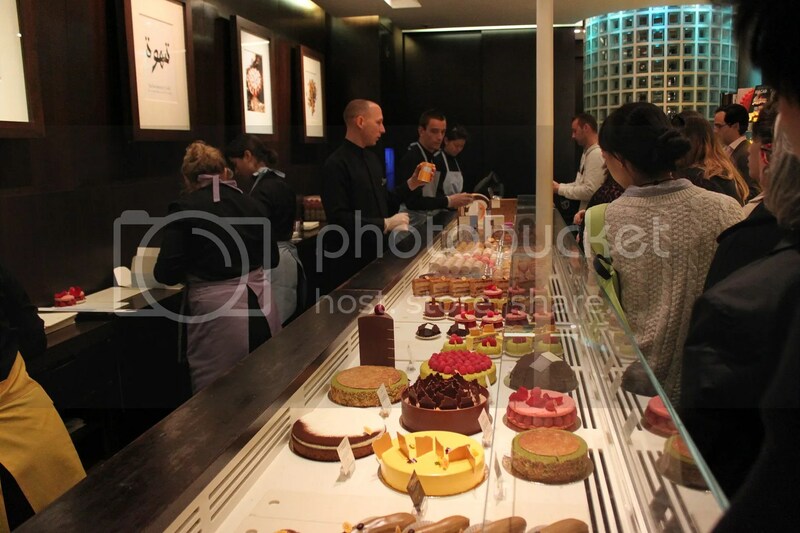 Dark Chocolate – We voted unanimously for Laduree. 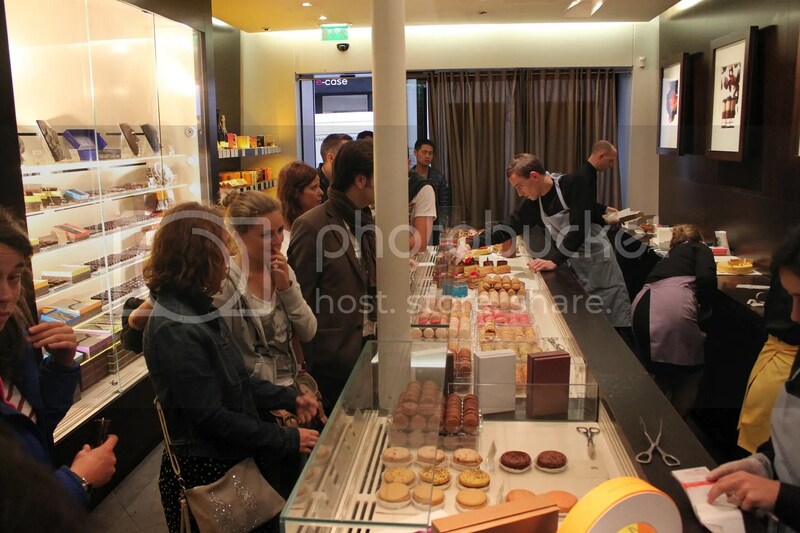 We liked that both PH’s and Laduree’s macaron shells were crisp but preferred the slightly deeper flavour of Laduree’s. Overall, we still thought there was room for improvement for the chocolate fillings and their flavours could have been made more aggressive. 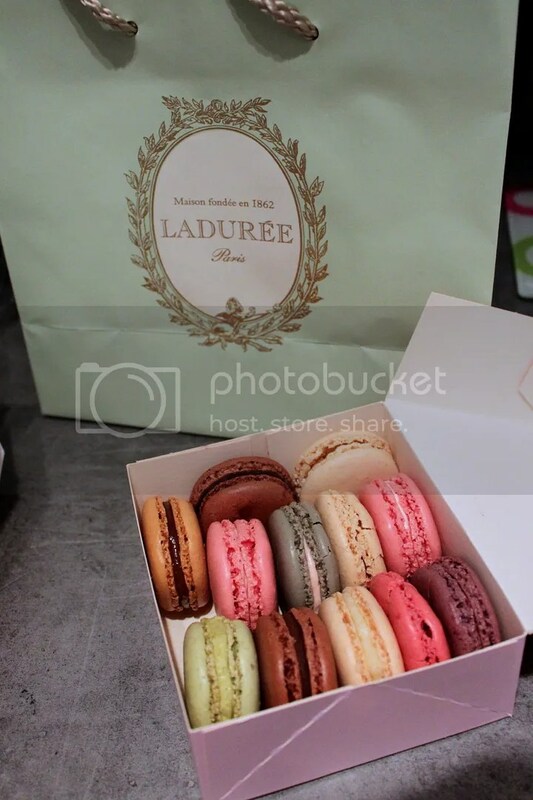 Salted Caramel – 3 votes Laduree, 1 vote PH. I personally preferred Laduree because the caramel flavour was way more intense with a chewy shell in this instance. 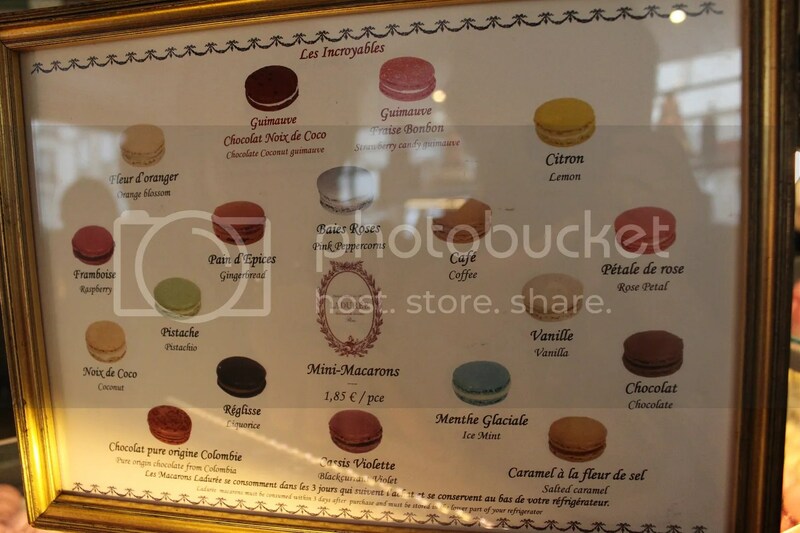 While it seems to me that Laduree does better in “common” flavoured macarons, PH stands out with its list of flavours that are seemingly more “creative”. For example, instead of having just a simple Pistachio macaron, PH has one that is also spiced with Ceylon cinnamon and Griottine (Cherries steeped in Kirsch). What emerges is a pistachio macaron that has a hint of what tastes like mocha, overshadowing the “basic” pistachio macaron from Laduree. 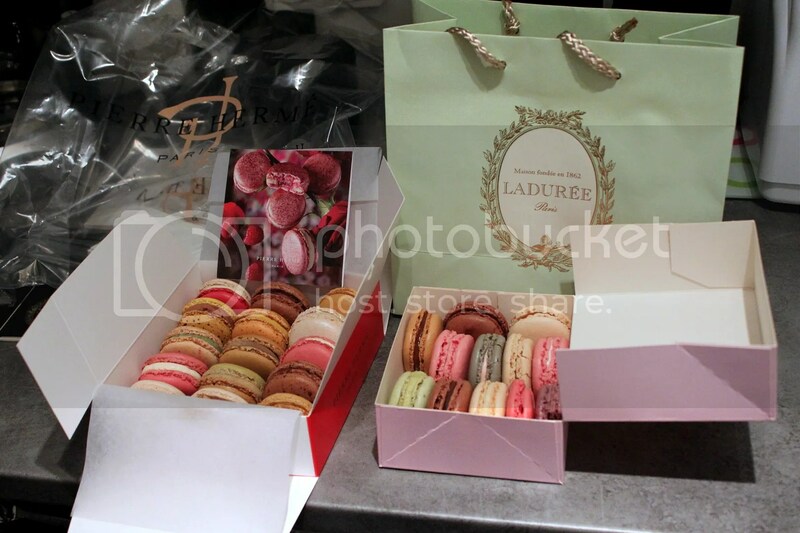 Other macaron flavours that we found remarkable were the Coconut from Laduree and the Jasmine from PH. Macarons are one of the most photogenic desserts, period. 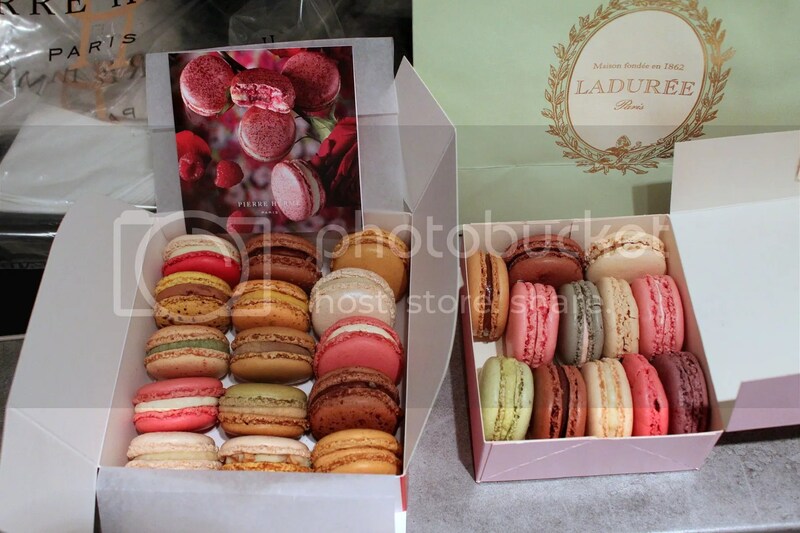 Still, at almost 2 Euros a pop, I would say that macarons are an indulgence I can live without. Give me a 50 cents Euro Magnum anyday (yes Magnums are that cheap in Germany) or KFC. KFC -.- anyway yes yes I remember all of us loving the Jasmine macaron from Pierre Herme in Japan!